The Warriors aren’t getting Dwight Howard. Don’t be upset. USA Today’s Sam Amick reported earlier this afternoon that the league’s most coveted free agent has decided to sign with the Houston Rockets. Though several other sources – including Howard’s agent, Dan Fegan – have since refuted Amick’s claim, it’s been confirmed he’s no longer considering Golden State as his next NBA destination. 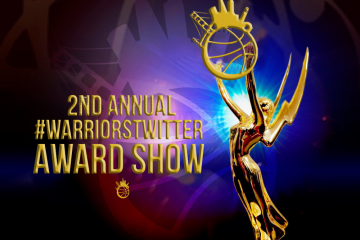 Failing to land a player of Howard’s rare talents is a blow to the Warriors on the surface. When fully healthy and motivated, no big man in the world can match his impact on both ends of the floor. Howard at his best is among the small handful of truly dominant, franchise-level players this game has to offer. And his presumptive fit with Golden State seemed a perfect one, an updated replica of Howard’s most successful Orlando team that nearly won a championship in 2009. But since injuring his back in 2011, there’s been no indication Howard’s the all-encompassing force he was a few years ago. After sending salary and draft picks to Utah to create enough cap room to sign Andre Iguodala outright, some assumed Golden State was in an even better position to acquire Howard than before. His supposedly foremost goal is to win a championship, and Iguodala and Steph Curry are as good a tandem as any of his other suitors had to offer. But by signing Iguodala to a four year, $48 million deal, the Warriors used all the space under the salary cap they were trying so hard to gain over the last 48 hours. Where the previous thought was Golden State acquiring Howard outright by shedding big contracts and getting him to sign on the dotted line, with Iguodala in tow that was no longer an option. After that deal, the only way Howard would wear blue and gold became getting the Lakers to agree to a sign-and-trade. And in that case, the Warriors’ Southern California rivals would want something of value in return. Rid of future draft considerations after the team’s earlier swap with the Jazz, Golden State would be forced to offer Klay Thompson or Harrison Barnes (in addition to Andrew Bogut or David Lee) to Los Angeles in exchange for Howard. In the long run, the Warriors might be glad it never came to that. This isn’t to say Thompson or Barnes is a more valuable player than Howard. In fact, it’s debatable whether or not their combined impact will ever reach the supreme heights of Howard’s during those days of Orlando yore. But basketball isn’t simple addition; a team’s whole can be greater than the mean or sum of its parts. As currently constructed, Golden State boasts a top six of Curry, Iguodala, Bogut, Thompson, Barnes and Lee. As part of the Iguodala agreement, the Warriors had to renounce their rights to free agents Jarrett Jack and Carl Landry. Shortly after the Iguodala news broke, the former took to Twitter and seemingly announced a change of scenery. Losing key cogs to the team’s success of last season like Jack and Landry will hurt, but even before today’s events, the likelihood both would be retained was low. Assuming they’re playing elsewhere next season and before considering reserves like Draymond Green and Festus Ezeli, Golden State’s roster is stronger and wrought with more flexibility than it’s been in ages. The NBA Finals proved the immense value of a team’s ancillary pieces. Kawhi Leonard, Danny Green, Mike Miller and Shane Battier, among several others, each played pivotal roles in a series that twice came down to the wire. Miami and San Antonio’s star-studded triumvirates received the most attention to be sure, but the highs and lows of players lower in the teams’ pecking order swayed the series as much as anything else. Stars win games but teams win championships, we learned. With this group – Iguodala instead of Howard as opposed to both – we know the Warriors will have both. 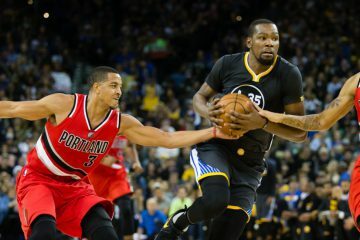 There’s not a weak spot in Golden State’s six-link chain, each player offering unique strengths and specific weaknesses that can be masked with the support of his teammates. 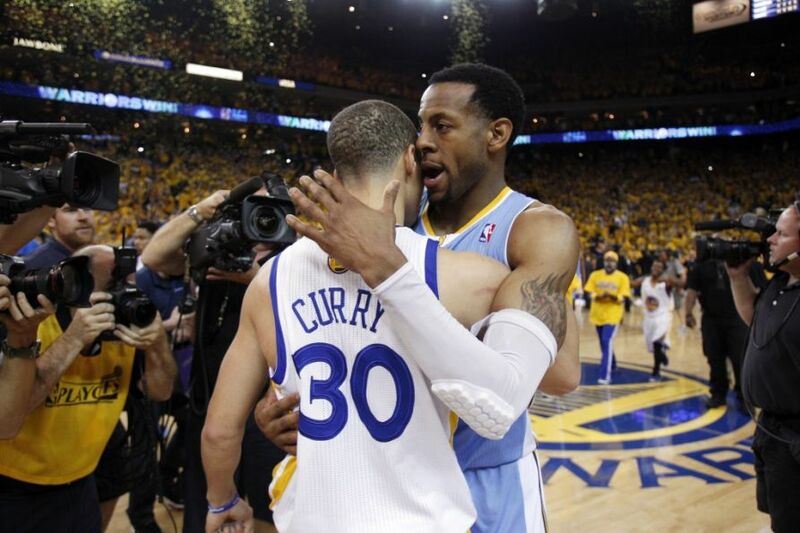 Curry can be bullied, Thompson foul-prone and Barnes prone to inconsistency on defense – enter Iguodala. But Iggy can’t shoot – the Splash Brothers certainly can. David Lee doesn’t space the floor optimally – Barnes does. 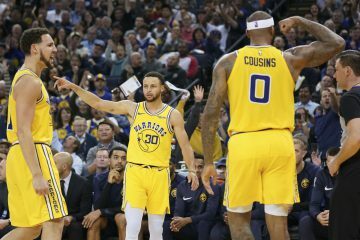 Curry likes to play off the ball and the Warriors lost Jack – Iguodala is a nominal point forward. Golden State needs to play fast – send Bogut off and go ultra-small. The Warriors are getting killed on the glass – play big with Thompson on the bench. Steph’s in foul trouble again – don’t worry, this group has the firepower to withstand it. Much of the above would have been true with Howard in tow. 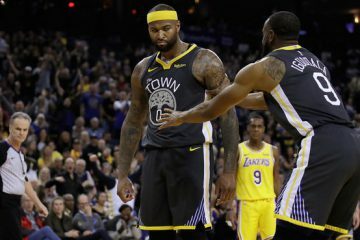 But the difference between a group of five and one of six can’t be overstated, especially when the player hypothetically absent – most likely Barnes – has so much to offer in terms of growth and versatility. Howard is better than Barnes or Thompson and perhaps better than both combined, but Golden State might be a better team without him. And ultimately, that’s clearly what matters most. The Warriors aren’t yet title contenders and still have a lot to prove before they’re legitimate threats for the Western Conference crown. But they got better today. A lot better, and the move they failed to make could have as much to do with it as the one they actually did. Follow Jack Winter on Twitter.